Bait Almarefa is a modern coffee shop and library project in Yemen. It the first one that serve Yemeni traditional drinks and snacks in modern way. The place has also a venues for seminars, presentations and lectures. 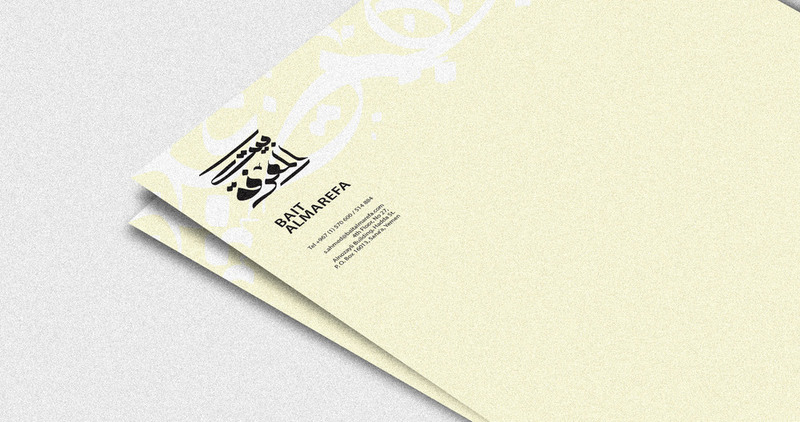 The Identity was designed using an original arabic script in simple and direct way to represent a real original brand name in the local market.